Happy Monday! Are you ready to have a great week?! I know that I am! 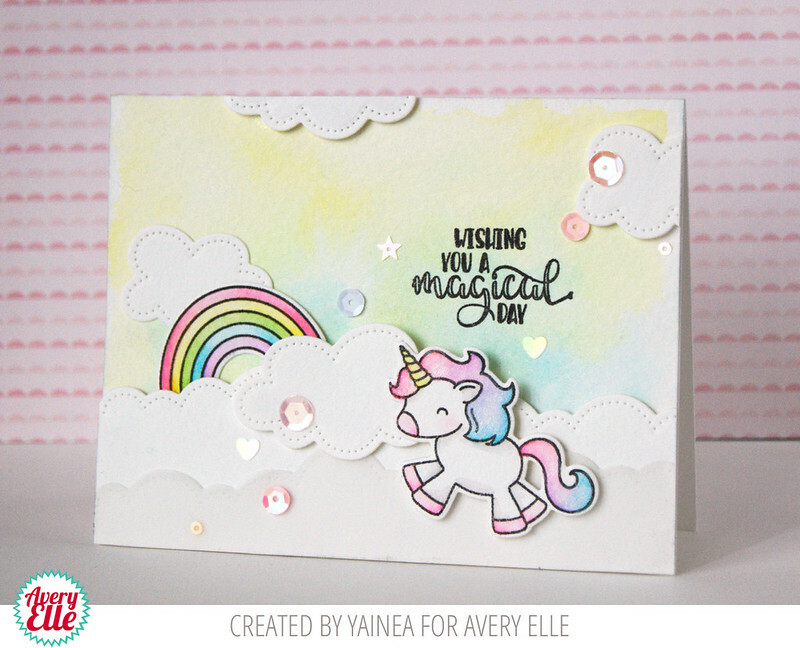 Caryn and Yainea have two fun cards for us! Check them out! Caryn's first card is great. I love how she turned the hands horizontally so that they are reaching out to one another. It is a fun spin that totally changes the look of a card. Yainea created this next sweet card. I love how soft and colorful it is. The yellow and blue background is just gorgeous against the white clouds and cute unicorn and rainbow! Thanks Caryn and Yainea for the fun inspiration today. Your cards are amazing as always!! Thank YOU for stopping by to take a peek. Have a great day! Love these awesome cards! Great job ladies!!! Two Bright and Happy Projects! A Cute Stork and Flowers! Instagram Mega Giveaway - Loads of Prizes!